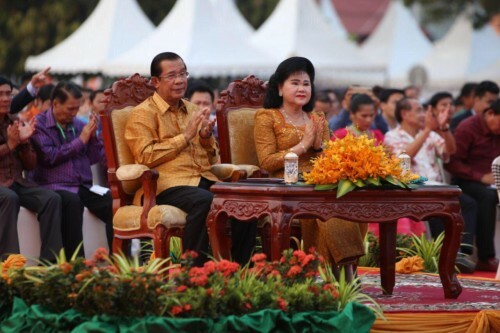 Cambodian Prime Minister Hun Sen has appealed to all citizens and businessmen to understand the issue of power cut due to natural factors and urged for temporary usage of private electric generators, addressing at the 5th River Festival held Saturday in Kampong Chhnang province. “We wait for Turkey to bring the vessels loaded with electric generators for temporary supply until the rainy season comes […] Cambodia depends on hydropower; now we face water shortages. In this regard, I encourage everyone to use private electric generators,” said Prime Minister Hun Sen.
“Climate change does not only affect Cambodia, but the whole region. Water and electricity are complementary; I urge for effective uses of water, as we will experience long dry season which lasts until June,” he added. According to the Ministry of Mines and Energy, Cambodia lacks of 400 megawatts electricity supply.